ABC15 taking donations for kids in need. ABC15 Arizona is proud to partner with American Furniture Warehouse to help make life better for Arizona foster kids. On Jan. 28, ABC15 launched “Taking Action for Foster Kids” to raise money for the Arizona’s Children Association, a non-profit child welfare group that helps 40,000 children, youth and families each year. The month-long drive will focus on collecting donations for the group’s “Just for Me” bags. Children receive the bags just as they entered the foster care system; typically, with little or no notice they will be leaving home. Each “Just for Me” bag will include essential personal care items (specific to that child’s age and gender), along with blankets, stuffed animals and journals. On Tuesday, ABC15 held its annual, "Taking Action for Foster Kids" phone bank - and thanks to the the community- raised $21,746 to help foster kids! Every month of the year, more than 700 new children across Arizona come into foster care, and there are currently more than 14,000 children living in our foster care system. Many have had to leave behind their possessions, their homes, families, and everything they’ve ever known. 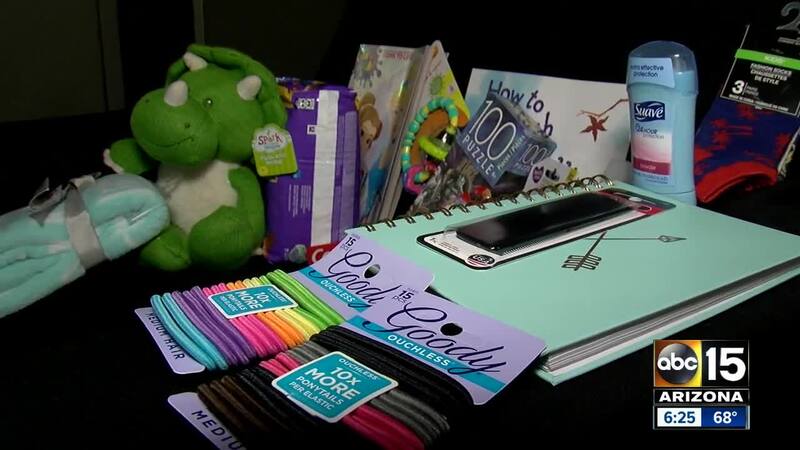 “Taking Action for Foster Kids” runs from Jan. 28 to Feb. 28, and will collect monetary donations, along with new and unopened personal care items (or hygiene products) as well as new comfort items like blankets and journals, which will be used for the “Just for Me” bags.